Here’s the latest from the Not-So-Good-News Department: baby boomers are in for a death boom. Not surprising, but still. There was quite the boom when we came into this world so it stands to reason there’s going to be quite a boom in our demisals (did I just make up that word?). We’ve gotten used to demographers and media people talking about 10,000 new retirees per day as boomers hit their late 60s and 70s. How are we going to feel when they start counting or estimating how many baby boomers can expect to die in a year, a month or a day? Boomers are living longer thanks to better health habits and exercise (along with gritty determination) but all the same, we can’t opt out when the call comes. On the bright side (if there is one), there will be lots of expanded opportunities for hospices, funeral planners and grief counselors. I don’t know why this news about a death boom should surprise any of us boomers, as our numbers have been thinning for a while now. Not a week goes by without us hearing about a classmate, colleague or neighbor who has crossed the great divide. Just in passing (ha…death sarcasm) there is a surprisingly large catalog of euphemisms for dying. Passed, slipped away, gave up the ghost, kicked the bucket, called to a better place, called home, permanent vacation, cashed in your chips, pushing up daisies, met the grim reaper, joined the choir, packed it in, bought the farm or just plain departed. Perhaps the most annoying one is “lost,” as in she lost her husband. He’s not lost because we know where he is, but we’re just skittish about saying he’s dead. Well now, this has been an uplifting discussion of the impending death boom, and for that I’m truly sorry. 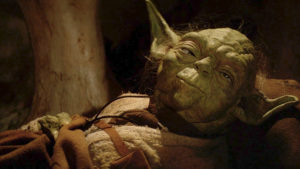 But the good news is that you are reading this, so you have not yet “succumbed.” Good on you. I’m a little embarrassed to say it, I’m a Dodgers fan. I grew up in NYC and loved my Yankees as a kid. I hated the Dodgers so much in those days that, as a 9 year old, I booed a blind retired Dodger as he took a bow with his white cane at an old timer’s game. Equal opportunity indeed. When I transplanted to Los Angeles in 1965, I was hooked by everything West Coast and that included the Dodgers, much to my own surprise. But one of my favorite moments as a Dodger fan came during a heartbreaking loss to the Philadelphia Phillies. 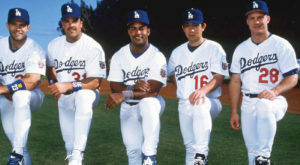 Back in the 1990’s, the Dodgers were beating up the Phillies by a score of 8-0 in the second inning. Vin Scully was announcing the game and shining his special light on it. At this point, I need to admit that some of the details of the game I’m about to describe may not be entirely accurate because, at the time, I didn’t recognize their importance. Essentially, it goes like this: Jim Fregosi was managing the Phillies that day and, despite the lop-sided score, he remained steady and applied his strategies with care and focus. It was, after all, only the second inning. His boys began chipping away at the Dodger’s lead and, by the fourth inning, it was 8-3. That’s still a pretty big mountain to climb in major league baseball but Fregosi remained so meticulous as he strategized that Scully said, “Fregosi’s managing this as though he’s got a chance to win it.” The Phillies kept coming on, scoring a run here and a run there and by the eighth inning it was 8-7. Sure enough, they tied us in the ninth and won it in the eleventh. Now Vin Scully wasn’t perfect. In fact, he made the same grammatical error night after night when he’d confuse “less” with “fewer” but his greatness was displayed by the indescribable warmth of his voice, his humility, his grace of character, his sense of perspective, his love for and knowledge of the game. Scully could point out the undeniable parallels when life imitates the action of the field. And the guy could read lips. We all know what it’s like to start a day badly and how tempting it is to say, “well this day is already in the dumpster.” And on days when we feel like that, we can remember Scully’s words when Fregosi’s Phillies were down 8-3 in the third inning: “he’s managing like he’s got a chance to win this.” And that’s just one more reason Vin Scully is in the Hall of Fame. Rick Smith is a musician and harp player (that’s a harmonica folks) from Helendale, California. When Donald Trump said he was serious about getting his face carved into Mt. Rushmore, I figured we’d better see that famous monument while it was still how we imagined it. 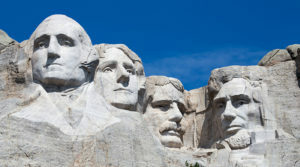 So my wife and I hit the road from Madison, Wisconsin, for the 800-mile drive to Keystone, South Dakota, to the gleaming granite faces of four past presidents—George Washington, Thomas Jefferson, Theodore Roosevelt, and Abraham Lincoln. We split the distance in half, spending Friday night in Sioux Falls and continuing on in the morning. The forecast was perfect— glorious sunshine, and temperatures to reach into the 50s. Neglecting to consider the Mountain Time Zone, we reached Rapid City an hour earlier than expected. It was two p.m., and Mt. Rushmore, just 30 minutes away, closed at five. The temperature was now 55, the sky postcard blue, so we dropped our bags at our motel and headed south on Route 16—Mt. Rushmore Road—twisting upward through the pine forests and granite cliffs of the Black Hills. Keystone (pop. 370), the official home of Mt. Rushmore, was disappointing, a kitschy cowboy town, but we soon left it behind. Next came our first tantalizing glimpse of Washington’s head above the pines. Then we pulled into the grounds. The parking facility, with a smattering of cars from dozens of states and Canada, had been cleared of overnight snow. That snow, in turn, had closed the Presidential Trail that leads from the Grand View Terrace to the granite escarpment beneath the carved faces. But it didn’t matter—the presidents were in full view along the Avenue of Flags between the parking area and the monument, and with the proud emblems of each state snapping in the breeze, we walked the avenue among a mélange of accents and languages. The overnight snow had also closed the Greek-style amphitheater beneath the terrace, but again, it didn’t matter—Washington, Jefferson, Roosevelt, and Lincoln now loomed above us in startling 3-D. While my wife wandered off to take photographs, I lifted my binoculars and made an amusing discovery. A small pine had rooted itself in the granite detritus below the chin of Roosevelt. According to Rushmore’s information director, there’s no more space for additional carving on the monument, so Donald Trump’s face will never appear there. But I think that, one day, that rogue pine will tickle Teddy’s nose. Claude Clayton Smith is the author of eight books, plus a variety of short fiction, poetry, essays, and plays, and blogger from Madison, Wisconsin.